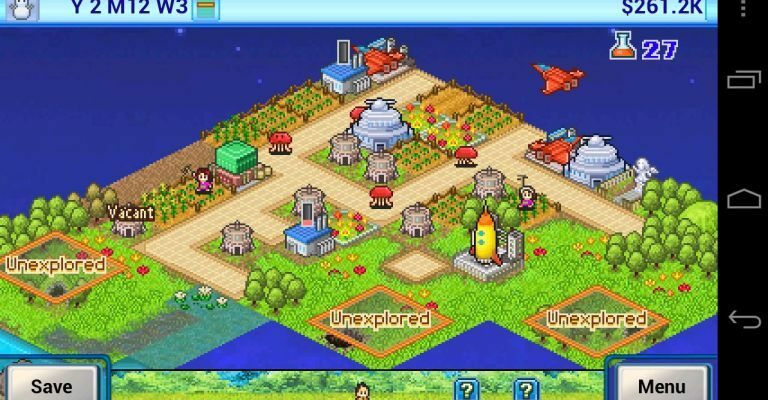 Kairosoft games are weird, and weirdly addictive. It’s hard to categorise them as they tend to be hybrids of different games – sim, RPG, monster collection – in various amounts. Strategy adventure sims with RPG elements perhaps covers it. In Dungeon Village you recruit adventurers to fight monsters trying to destroy the town. In Epic Astro Story you explore and develop planets section by section, selecting residents and sending them off on missions. On that last point, there is usually a timer, which prevents your high score increasing after a certain number of game-years. But the game still keeps going. There are all sorts of special recurring events, such as award ceremonies through which you can earn in-game money and prizes. Kairosoft games also tend to have recurring Special NPCs: such as Sally Prin, Chimpan Z and Bearington, which you have to unlock through various feats. These are usually super high powered. Definitely worth a try if you’re looking for something absorbing that’s a bit different.